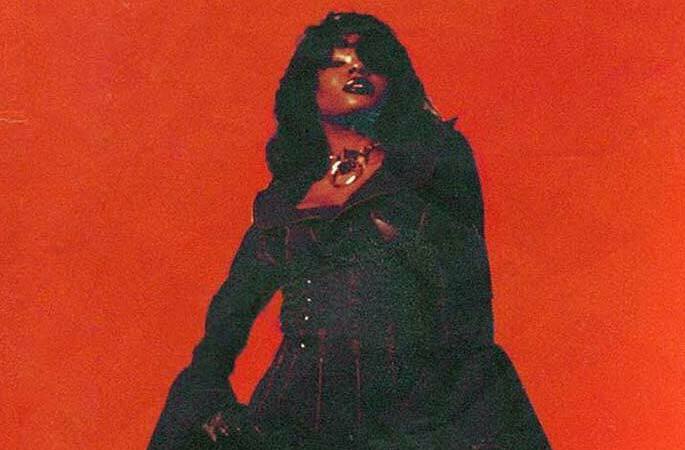 Home / Azealia Banks / MUSIC / Listen To Azealia Banks' New Gay Wedding Anthem "Anna Wintour"
Listen To Azealia Banks' New Gay Wedding Anthem "Anna Wintour"
Azealia Banks channels her inner Anna Wintour in her new single produced by Junior Sanchez. "I wrote this song about finding myself and finding God," Banks wrote on Instagram. "Not at all specific to any religion, this song was written to embody the feeling felt when you connect with the universe. Sometime we feel afraid to take chances that will bring us out of our comfort zone’s and it’s always in those moments that God finds you and let’s you know that you are exactly in the right place." Banks says she chose to name the song after the Vogue editor-in-chief because of how relatable she is. "My choice to name this song “Anna Wintour” is telling; I relate to Anna Wintour So much as a strong, powerful and larger than life soul in a petite, tidy and feminine body. While others may see Anna as intimidating , I see a woman who was born into this world with an absolute certainty about her place in it. She is a master of masters..like the life path number 11. A woman with an abundance of personal power who influences and defines the world around her. In my case, having such power can lead to self-indulgences. Meaning, i can become so consumed with a power and an ability to affect the world, that I may have forgotten or in fact - may have never learned to use my power to influence and define myself! This song is one of praise, liberation... as well as a kunty stunt. I pray you all have as much fun listening to it as I had creating it." “I can just imagine everyone walking down the aisle to this joint!” she said. "Anna Wintour" is the first formal offering from her upcoming album Fantasea II, arriving via Entertainment One.